Tony Rothon lives and works in the UK. Please use the contact page if you wish to contact him. Choose from the menu above to see a selection of his work. 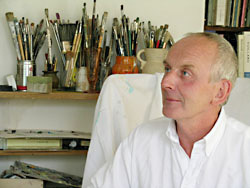 Tony Rothon is a full time painter, in addition he continues to teach on a part time basis. If you wish to buy any paintings please contact Tony directly.